Luminics JDM Yellow H9 bulbs are the best for foul weather driving. They provide excellent illumination during inclement weather and give your vehicle a unique look that will get you noticed. 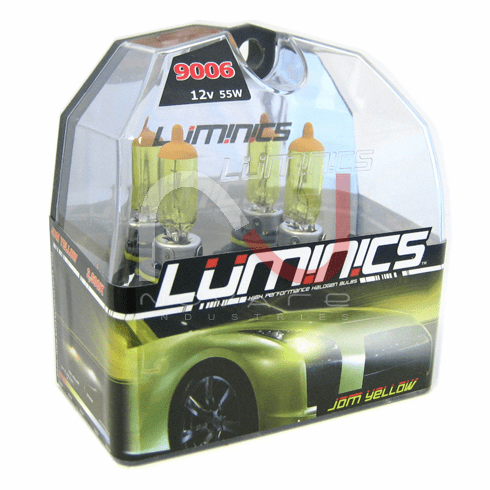 Luminics JDM Yellow H9 bulbs are among the highest quality bulbs made for just about every automotive headlight or foglight application. Luminics bulbs stand out with an unconditional guarantee against any manufacturer defects. This ensures you are getting the best performance and highest quality bulbs. Luminics JDM Yellow H9 bulbs will improve lighting performance and will give your car a custom HID look without the expense and troublesome conversion.